When our ancestors developed the ability to create, sustain, use, and control fire they set the stage for progress of all sorts – the taming of fire is perhaps humanity’s most fundamental act of progress. Whether they lived in forests or prairies, in frigid, torrid, or temperate climates, early people lived in environments that were to one degree or another hostile. Fire not only made cooked food possible, it also served to ward off predators. This is the center of my piece: a fire, built of loose branches and set among rocks, in a threatening forest. 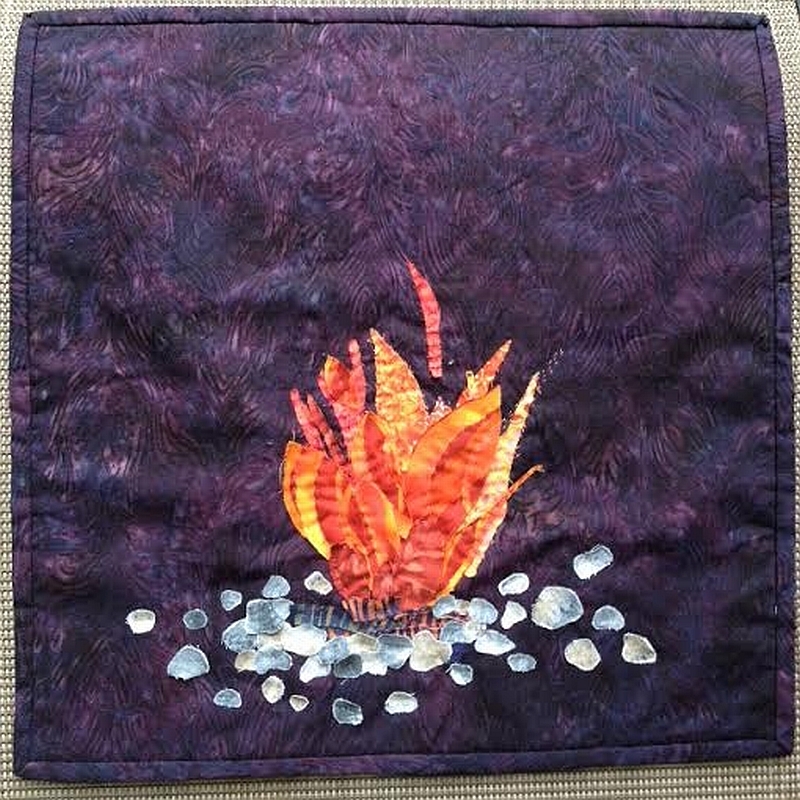 I’ve used hand stitch to fasten the elements of the picture to its background and to intensify the fire itself. I love the colours in this project. What a good idea for this theme. Love your interpretation of Progress. Nice stones.